Having read this book, Dennis Milne becomes the most unforgettable character I have ever come across. This is the thrid and final book of the Dennis Milne series (however, I happened to read this one first). Right from the beginning of the book he's planning for retirement from his job and looking forward to a peaceful and quiet life in Laos. Dennis, an ex-cop-turned-asssain, is sent to Phillipines to finish an assignment (which, no doubt, involves a murder). As things turn out, he defies his own boss, knowing well enough that his dream of retirement will be chattered and that he might even put himself in danger. The book is partly narrated by Dennis and partly in the third person. In the book, we also learn about Milne's haunted past. No matter how bad Dennis might sound, fact is that he has a conscience. He doesn't like to kill innocent people, only corrupt and bad people, and he is burdened by th guilt of having taken some innocent lives. He cannot change his past but he can change his future. And this Philipinnes assignment eventually presents him an opportunity to do the one right thing. I find it hard to read my favorite books because I'm always running out of words. 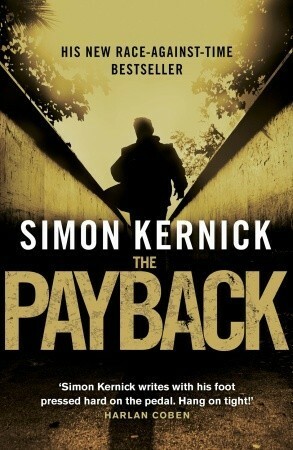 This is the first Simon Kernick book that I ever picked up, and having finished this, I was lured to read two more books by the author. words can't express how excited I am to have found this blog!! I love mystery/thriller and suspense I am a new GFC follower and I will be back every day to be checking in!! Hi, Sarah. Thanks for stopping by my blog. It's always nice to meet people who share the same interests as you. Thanks for the follow.